After series of installment of EA's Need For Speed in 1994, Dreamworks will finally unveil the movie "Need For Speed" this March. The story is about Tobey a muscle car mechanic and a street racer who redemption for being framed up. It is a story of honor, love redemption and love. Movie goers will love to see this movie especially those who played the game. 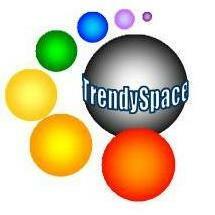 A freeware has been launched by TrendySpace called Electronic Integrated Refresher. This can be download in Files Space Software Section. It allows student to creates question based on books and run exercises. It is intended for post-review period. Here is a useful PIC programmer which is compatible to many PIC devices. Herewith, a PDF file to help you. download this. Here is also the software.